That’s because the Rasta movement arose in Ethiopia, not Jamaica. WHEN YOU THINK OF JAMAICA, you’re likely to conjure a mental picture of Bob Marley before you think of anything else. There’s no other country in the world where one musician seems to represent the embodiment of an entire culture like Marley is to Jamaica. The dreadlocks and the red/green/yellow color scheme seems soooooJamaican. But is it? The answer might surprise you: Look no further than the Ethiopian flag. Does it look familiar? That’s because the Rasta movement arose in Ethiopia, notJamaica. 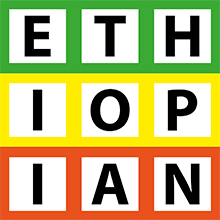 Ethiopia is the only African country never colonized by Europeans. Countries like Kenya and Egypt were controlled by the British; the Belgians took the Congo; and much of North Africa was seized by the French. Every European country seemed to want a piece of the “dark continent,” but Ethiopia always avoided colonization—including two failed attempts by the Italians in 1895 and later in 1935. Haile had other names, too, partly because of the different languages he spoke (including French and the native Amharic and Ge’ez languages of Ethiopia). Tafari was his given name at birth, meaning “one who is respected or feared.” Later, as governor of the walled city of Harer, he was given the ranking title of Ras, or “prince.” If you haven’t already figured it out, Haile Selassie was also known as Ras Tafari. Sound familiar? A few years prior, in the 1920s, a popular Jamaican political leader named Marcus Garvey predicted that one day a black man would be crowned king in Africa. This king would be a divine being that would bring deliverance to the people of Africa and the rest of the world. In 1930, when Selassie was crowned emperor of Ethiopia following a coup d’etat, this prophecy appeared to be coming true. The people who idolized Tafari embraced many of the Ethiopian traditions: An Ethiopian vegan lifestyle without alcohol or salt was adopted; the colors of the Ethiopian flag were embraced; dreadlocks became a symbol of a lion’s mane as well as the idea of roots connecting man to God. Long hair is also strongly associated with the biblical story of Sampson and other Old Testament scripture. The Jamaicans accepted many traditional biblical teachings but felt like white men had altered the sacred text to make African slaves more subservient to their masters. This small cult never really gained worldwide acceptance until Robert Marley popularized it. Born Catholic, Marley converted in the 1960s, grew his dreadlocks and began writing songs with spiritual elements. When asked about his religious beliefs, the singer once mentioned, “I would say to the people, Be still, and know that His Imperial Majesty, Emperor Haile Selassie of Ethiopia is the Almighty…. I don’t see how much more reveal our people want. Wha’ dem want? A white God, well God come black. True true.” Many of Bob Marley’s songs are about reuniting Africa and deal with other Rastafarian beliefs. Many casual listeners don’t really listen to the words, the reggae melodies instead invoking thoughts of tropical vacations and beaches. In 1966, Selassie visited Jamaica to an ecstatic crowd of thousands. He appropriated 500 acres of land of his country to Jamaicans or other people of African descent who wished to move to Ethiopia. Bob Marley visited Ethiopia in 1978 and stayed in Shashamane, the village formed by those who had taken Selassie’s offer. It was thought that a large percentage of the one million adherents might move to “Zion,” but that never really happened. Fifty-plus years later, roughly 800 Rastafarians live in the town. For all the songs about moving back to Africa, hardly anyone actually did it—including Marley himself. Shashamane remains an eccentric little enclave in Ethiopia peopled by Rasta followers. Ganja, ironically enough, is illegal in Ethiopia, though it’s tolerated in that community to a certain extent. Bob Marley died in 1981 of skin cancer that began on one of his toes. He refused to treat it because of his religious beliefs. Like Marilyn Monroe, Elvis and James Dean, Marley has become more of a brand than the person he really was. He symbolizes Caribbean music, smoking weed, and the red, green and yellow colors of the Ethiopian flag. In 2015, a statue of Marley was installed in Addis Ababa for Bob’s 70th birthday celebration. In 2005, Rita Marley, Bob Marley’s widow announced she would be moving his body to be reburied in Ethiopia, though that never happened; the famous singer still rests in tomb in his home in Nine Mile, Jamaica. Marley’s music, meanwhile, continues to inspire the world from the Americas to Africa—even if many folks are only listening to the melodies.